Winter season is going to be started within a few weeks, it’s time to play games on your devices. Moreover, playing games in your Android smartphone is an addictive thing in this universe. People from various parts of this world has a same feeling when they were planning to play games. It may be a kid or an adult, playing game doesn’t need any age conditions. More particularly, gaming field has been boosted up after the invention of smartphones, android operating system has given a new life in the gaming technology. In this post, I have mentioned the best multiplayer android games that allow you to play with other online players simultaneously. The main advantage of this multiplayer game is that you can share our scores with them and in the meanwhile you can play with human player instead of bring CPU players. Clash of Clans: First place will be taken by the Clash of Clans, basically Clash of Clans is a strategy game that has been developed by the famous game developers SuperCell. They have developed best applications such as Hay Day and Boom Beach. Clash of Clans allows you to play with other online players simultaneously. The players will be given a small land, like a small village. Players should build various buildings such as walls for protecting their village, sniper towers, canyons, and other defensive materials for your villages. The player should protect their village from invading enemies and at the same time, you should payback for the attacks that has been given to you. 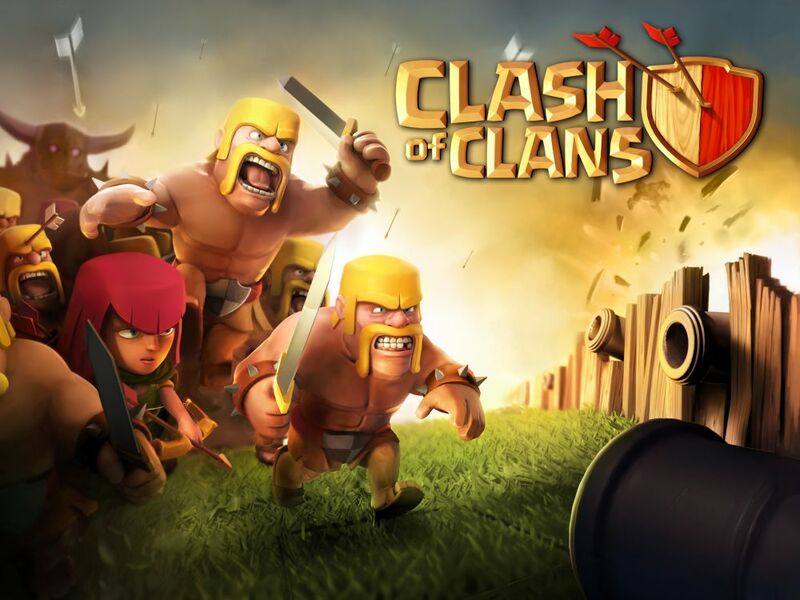 Clash of Clans allows you to connect with online and lets you to attack other online players via multiplayer mode. Paper War: Paper War is another best game that has been released in the android operating system history especially dedicated for multiplayer option. This game allows you to play with your friends with the help of Bluetooth and internet. This game allows you to play head to head game with anybody you want. This game is more quite easier to connect with other players. It is strongly using your own strategy while playing games with another player, so that you can easily beat them with your plans. Pocket Legend: Pocket Legend is another multiplayer game that is similar to Paper War, this game allows you to connect with various players. The only thing is that, you both need to install this game on your mobile devices, simple. You can play this game as long as you want, you can beat your friends and share your score on the social media. Rush Poker: Rush Poker is an adrenaline game that allows you to play with other multiplayers and this poker game has more features while comparing to other online poker games. The best in-class multiplayerhas been listed in the above paragraph and in the mean while you can spend your time with playing multiplayer games with your friends.